Indigenous fire management techniques are being used at Bundanon, Arthur Boyd’s gift to the nation, on the NSW South Coast. Photo: Louise Kennerley. The flames catch quickly yet burn slowly, barely reaching knee-height, producing a plume of white smoke that wafts through the branches of towering spotted gums. Mr Timbery points to the ground, which is alive with ants and beetles scuttling from the flames. “They’ll take off prior to feeling the heat, and when it’s cooled they’ll come back,” he said. The low-intensity fire, known as cultural burning, also permits larger animals to evade the fire that will burn undergrowth and encourage the growth of native grasses and vegetation. Cultural burning reduces the fuel load and ignites the seedbank held in the ground, according to Indigenous elder Sonny Timbery. Photo: Louise Kennerley. Far from scorching the landscape, Mr Timbery says the fireground will be green within weeks, providing a source of food for wombats, wallabies and native birds. It also allows elders such as Mr Timbery to share knowledge with younger generations of Indigenous men who receive training from the RFS. 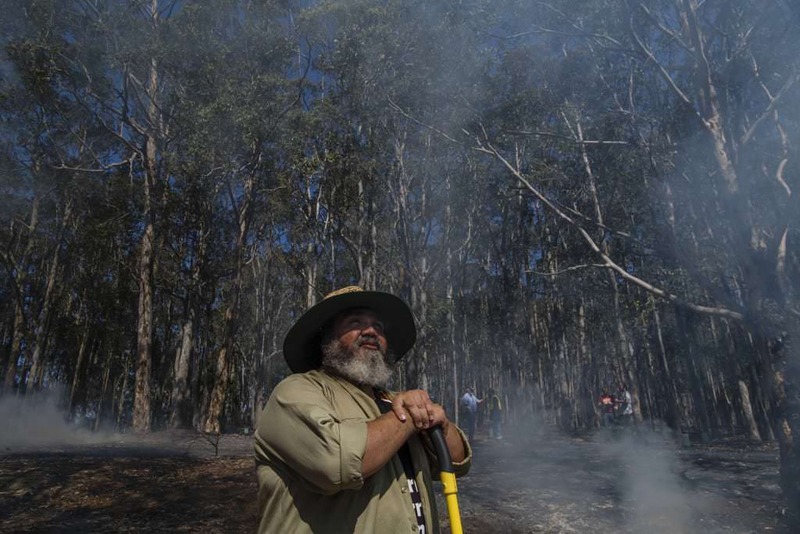 The cultural burns at Bundanon, Arthur Boyd’s ‘gift to the nation’ on the NSW South Coast, are part of the Firesticks project that is seeking to revive Indigenous land management techniques. RFS Inspector Chris Palmer said cultural burning complemented the fire service’s hazard reduction burns in fire-prone areas such as Bundanon. 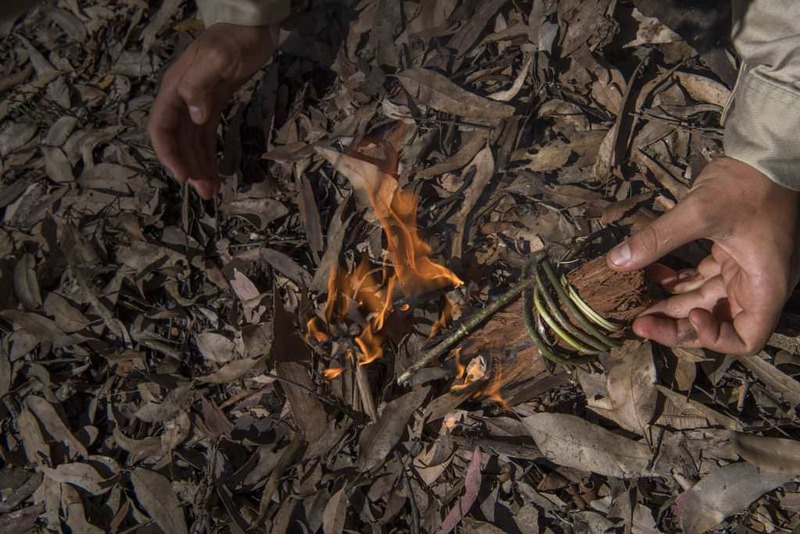 A firestick made of paperbark used to light the low-intensity fires at Bundanon. Photo: Louise Kennerley. “This is not natural landscape. It’s changed because traditional or cultural burning wasn’t allowed,” he said. Planning burning to reduce fuel loads and the intensity of bushfires is a well-established land management practice, yet some people are wary about fighting fire with fire. Jason Sharp is one of the local Indigenous men involved in the cultural burning at Bundanon on the NSW South Coast. Photo: Louise Kennerley. A site of high conservation, Haunted Point has significance for local Indigenous people. Indigenous community member Noel Webster said artefacts and rock art had been found in the area, which overlooked travel routes along the river and escarpment used by Aboriginal people. Mr Webster said the country revealed when it was appropriate to use fire; indicators such as when trees flower and native grasses cure “tell us when it’s time to light up”, he said. 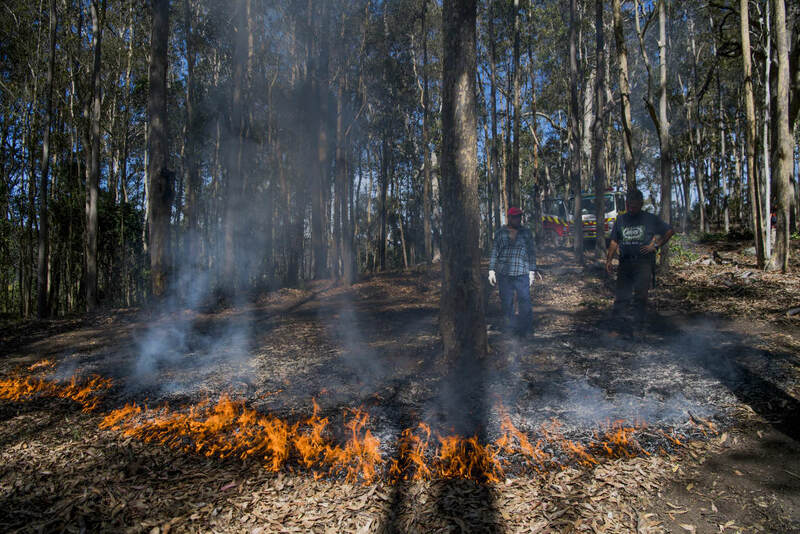 Bundanon chief executive Deborah Ely said the Firesticks project is designed to rehabilitate parts of the 1100-hectare property that have been logged, farmed and choked with lantana since European settlement. 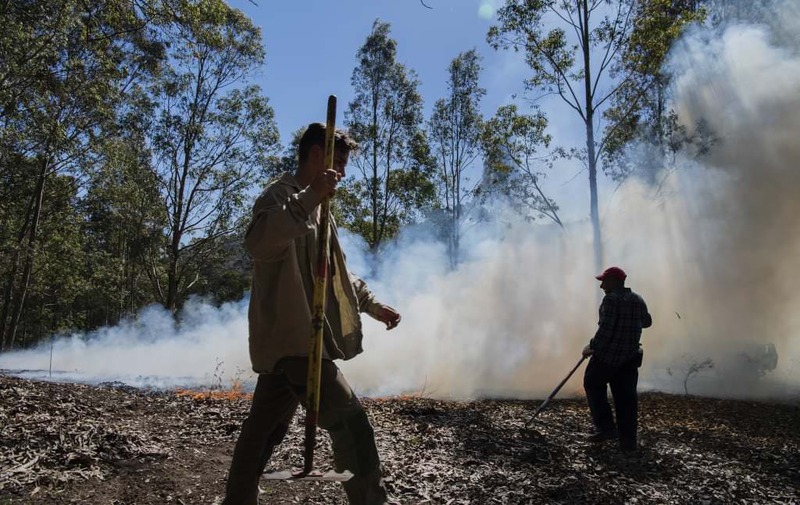 The National Indigenous Fire Workshop will be held at Bundanon from July 13 to 15, the first time the conference has been held outside of Cape York. “Firesticks really does join the dots for us between our responsibility for caring for the landscape, offering Bundanon as a place for research and experiment and fulfilling our obligations towards our local Aboriginal community,” she said.